What are the best broadband plans for renters? Reliable and affordable broadband is essential for all households, including flats or families who are renting. Broadband ensures the home is connected, allowing working and gaming. For those renters who have ditched Sky TV and flashy possessions in order to save for a house, broadband also ensures essential home entertainment can be streamed at any time. For renters, one of the best things about these three plans is that they are offered with a wireless 4G modem – which is very easy to set up and doesn’t even require a phoneline. You will need to buy this modem at a cost of $99, but you can take your modem with you when you move house, as long as 4G coverage is still available in your new location. 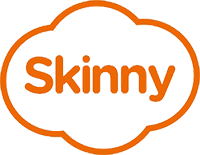 Skinny offers an easy-to-use online dashboard and no fixed terms. You can repurchase your plan any time to get another 60GB, 120GB or 240GB, or you can buy a data add-on of 10GB for $20 if you find yourself just short for the month. Skinny also offers an unlimited data plan for $73 a month but this is run with a fixed connection, either VDSL or fibre, where available. While you will need a phoneline or fibre connection for this, it is also easy to set up, with a one-off cost of $99 for the modem and no long-term contracts. Stuff Fibre offers variations to this basic plan (it calls these add-ons). If you want speeds up to 950Mbps, that costs an extra $20 per month. The plan comes with a Gigabit Router for no additional costs or set-up fees, but you can upgrade to a high-end, fast-speed router for an extra $299. Stuff Fibre also offers a Voice App, which allows you to keep your landline number but connect it to your mobile phone, for an extra $10 per month. Best of all for renters, this price and these offers are available on an open plan. However, if you are able to commit to 12 months or more, Stuff Fibre offers a $10 “loyalty discount” each month. The 80GB and Unlimited plans are available on ADSL, VDSL or fibre, where available, but the Ultimate unlimited plan is only available for homes on fibre. 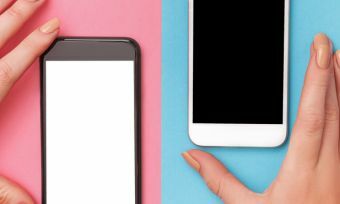 2 Degrees customers can choose the open-term plan when they sign up, but they will have to pay a $99 connection fee and $165 for a modem plus $15 shipping – although other modems are allowed if you have a compatible one. However, you can sign up for a 12-month plan and get the connection for free and free modem rental (but you still have to pay the $15 shipping). 2 Degrees mobile customers also receive $10 off their plan each month. Another benefit for renters is that MyRepublic’s Wi-Fi Hub+ Modem is compatible with both VDSL and fibre, so it is easy to take to your next location. The modem costs $99.99 plus $14.95 postage with the no lock-in plans. However, if you are able to commit to a 12-month contract, the modem is free and you get $5 off per month. Another bonus for renters is that Flip offers a cheap standard installation fee of $25, and you can bring your own modem or buy one for $95. If you are able to commit to 12 months, the unlimited plans cost $69 for ADSL or $74.95 for VDSL. This plan is offered with 4G wireless internet, which is only available in limited places. Customers have to pay $199 for a modem and $14.95 for postage. This plan would suit only households which have the most basic broadband use. However, if you are able to commit to a 12-month plan, Vodafone offers plans starting from $97.99 per month for unlimited data with speeds up to 100Mbps, to $127.99 per month for speeds of up to 700-900Mbps. These plans include free standard install and Vodafone TV Intro. You can also get $10 off a month if you have a Vodafone on-account mobile. All these plans are on a 12-month or 24-month contract (you choose) but include free standard connection and modem hire (postage is $14.95). Slingshot also has a range of mobile phone plans, as well as power, giving further discounts to the broadband package. The 12-month plan includes comes with free standard connection and modem rental, although there is a $14.95 postage fee. Orcon customers can add power for discounts, and can also get mobile and landline plans.